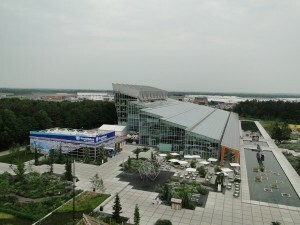 Floriade is the world horticultural expo that takes place in the Netherlands once every ten years. The Floriade 2012 exhibition is in Venlo, in the province of Limburg in the Netherlands, just west of the German border and about 180 km (112 miles) southeast of Amsterdam. The origin of Floriade dates back to 1818, when the first Dutch flower show was held. Since then the show has taken varying forms. 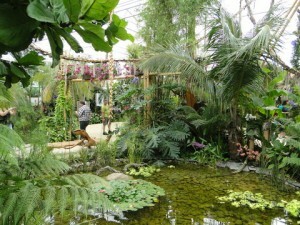 The involvement of the Dutch Horticulture Council in 1960 led to the international stature of the show, with the first world horticultural exhibition held in 1960 in Rotterdam. 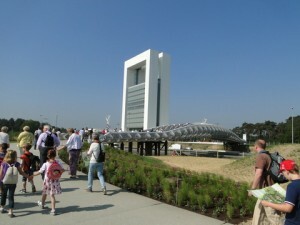 The main focus of Floriade 2012 is sustainability, with inspiration rooted in nature. 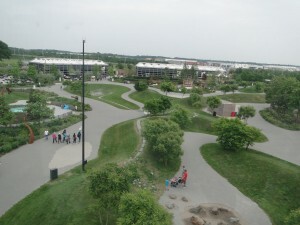 This is portrayed through five different themed areas, each with unique design and planting plans. The themed areas, covering an area of about 65 hectares (160 acres) include: Relax & Heal, Education & Innovation, Green Engine, World Show Stage, and Environment. After spending 8 hours during my first day at Floriade, I covered about half the exhibition. Walking through various displays, my mind is saturated with ideas that I will be bringing back to Denver. I look forward to another day of touring the rest of the displays tomorrow and over the next few days will be blogging about each of the themed areas.